Mexico is building an auto nation. I wrote about it here. However, another of its manufacture industries is increasing global visibility. Aerospace manufacturing has been growing steadily in Mexico over the last decade. Whereas the number of aerospace factories was 150 in 2007, it reached 260 factories in 2011 and is expected to grow to 300 by the end of 2014. As a result, aerospace exports would exceed 2007’s $2.7 billion worth of low-level airplane parts and 2011’s $4.3 billion. In fact, with President Enrique Peña Nieto vowing his support, the industry’s forecasts predict double the exports in 2015 and $12 billion worth of exports come 2020. Mexico’s aerospace factories are spread across sixteen states, but the industry is mainly clustered in Sonora, Baja California, Chihuahua, Querétaro, and Nuevo León. Each of these five areas boasts its own set of specialties. 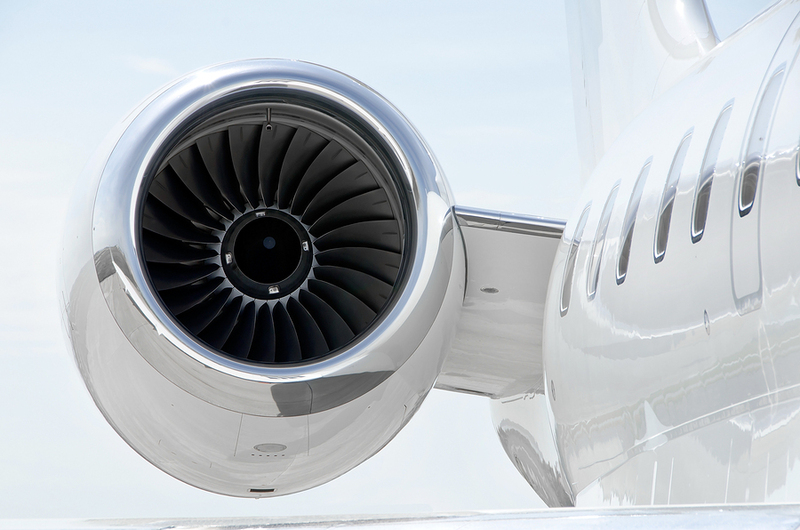 For example, Sonora is the Mexican hub for precision aerospace machining. However, when it comes to the activities taking place there, companies carry out manufacturing (79% of the activities underway), maintenance, repair and operations (11%), and design and engineering (10%). While the factories are contributing to Mexico’s economy and creating jobs for over 30,000 workers, their foreign investors are getting their money’s worth as well. For starters, their ventures can generate more profit through lower costs. Recent research shows that foreign companies manufacturing in Mexico can easily save 28% to 34% of the costs they would incur in any other country. One of the biggest costs they save is that of labor; Mexican workers are willing to work for as low as $4 per hour. Another advantage of Mexico’s aerospace industry is the federal and state governments’ efforts to pool their resources and educate Mexican laborers. As a result, the country’s world-renowned inexpensive labor will include a larger number of university-educated professionals, giving them a competitive edge and proving them to be more profitable for newly built factories. Lower costs and skilled labor aside, foreign aerospace manufacturers are focusing on Mexico due to its geographic location. The country is neighbors with more established aerospace markets in the United States and Brazil. In addition, thanks to a large number of free trade agreements, the country allows its businesses and manufacturers to trade with some of the biggest buyers across the world such as Canada. It is these advantages which continue attracting foreign investors to Mexico’s aerospace industry despite the nation’s crime rate. In fact, 47,000 Mexicans were killed in response of the drug war policies introduced by former President Felipe Calderón. However, foreign direct investment in this sector continues to rise. Analysts expect 2015 to reel in $1.4 billion, which $0.2 billion more than 2010. Regardless, Mexico’s popularity as the next aerospace hub would mean that profit-hungry companies from established markets may try taking advantage of its cheap labor. The upside, however, is that the country will jump on the globalization bandwagon. Currently, it is getting there with international companies opening factories in Chihuahua. Some famous names are Nordam from the United States, Manior Aerospace from France, and Fokker Technologies from the Netherlands. In an effort to highlight Mexico’s aerospace industry and find ways to overcome its issues, the country has hosted a number of summits and conferences to bring together leaders of this industry from across the globe. The last Mexico’s Aerospace Summit, took place on October at Querétaro’s Congress Center. Sponsored by a host of companies and even the Secretaría de Desarrollo Sustentable, the conference studied the industry’s growth over 10 years, the competitive advantages of aerospace manufacturers in Mexico, and other topics directed at foreign investors. The summit’s participants took part in B2B meetings as well as visit plants in Querétaro. At this rate, more companies will make their way to Mexico in hopes of mutually benefiting from its aerospace sector. Come 2020, the country will be much stronger and a worthy contender for many nations in the manufacturing sector. The manufacturing industries were not built at random. Lessons have been learned. Reputation and traction has been earned. Companies are already operating and investments are on their way to land. Mexico has the blue print for building a major aerospace hub. It is time for synergies to develop opportunities in R&D, manufacturing and training for this business to take off. Book a seat, it is a first-mover market.